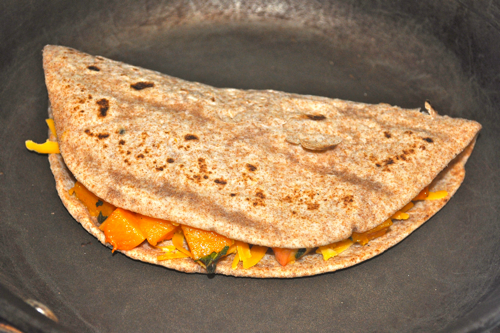 Quesadillas are often filled with chicken, beef, shrimp or veggies. This recipe takes them in a different direction. It's inspired by my favorite restaurant in Athens Ohio, Casa Nueva. They served a quesadilla similar to this. It was featured in the fall and it changed what I believed a quesadilla should be. The flavors compliment each other and it keeps you coming back for more. I kept returning to the restaurant hoping it would be on the menu again, but was always disappointed. Saddened by this turn of events, I had to create my own of version of the wonderful fall delight! I promise you won't be displeased by this beautiful and satisfying appetizer! Heat skillet and add butter. Add sage and let cook for 30 seconds. 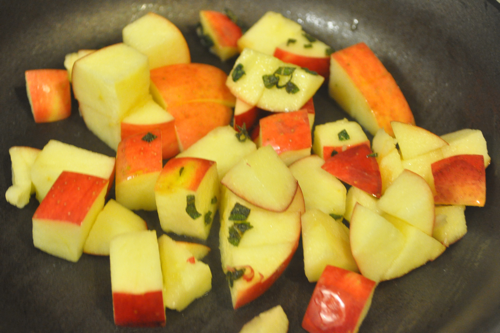 Add apple and saute for 1 to 2 minutes. 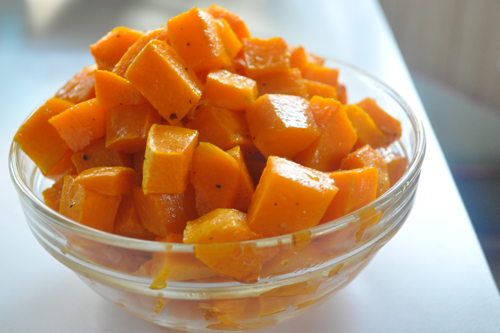 Once slighted softened, add butternut squash, honey, salt and pepper. Continue to cook for 1 minute more. 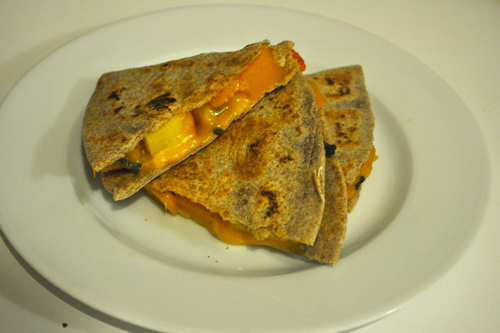 To assemble: Place 1/8 cup of cheddar on one half the quesadilla, then add 1/2-3/4 cup of apple and squash mixture. Next add 1/8 cup of cheddar. 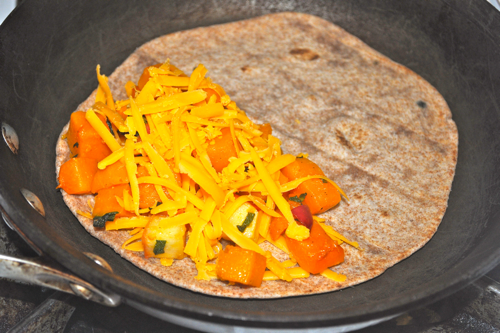 Fold over tortilla on top of cheese. Heat a cast iron griddle on medium on heat. Place quesadilla on pan. Cook on one side for 2-3 minutes and then flip. Cook remaining side, 1-2 minutes more until cheese is melted and filling is warm. The tortilla should be golden brown and charred on both sides. Using a pizza cutter or knife cut into 3 or 4 pieces. Enjoy as appetizer, lunch or dinner! Make ahead brunch for a crowd! 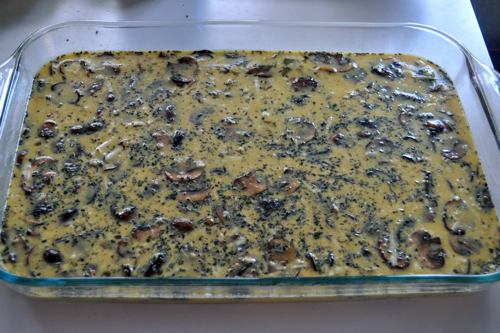 I usually make this dish for easter brunch, but it is delicious anytime of year. 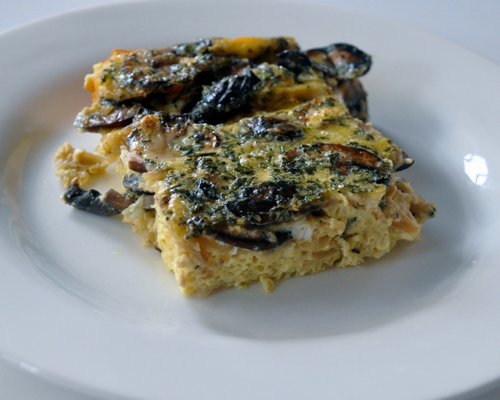 Fritatta's are a fabulous way to utilize leftovers. Feel free to substitute other cooked vegetables such as peppers, spinach, or whatever you have on hand. 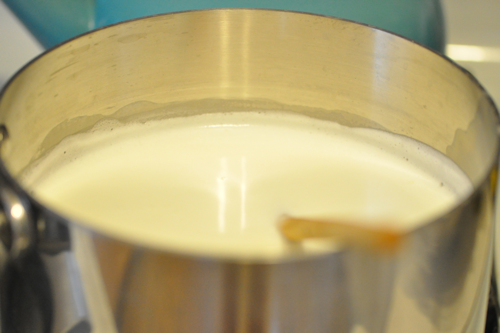 For a richer dish, substitute cream for milk. For a lower fat version use skim milk. Whisk eggs until blended. Add milk, rosemary, salt and pepper and combine. Add mushrooms, onion, and cheese. Stir together. Place in a sprayed 12x9 dish. Cook at 350 for 35-40 minutes or until you can insert a toothpick and it comes out clean. Let cool slightly before cutting. It will allow for easier slicing. A slice in between an english muffin makes a fabulous breakfast sandwich! 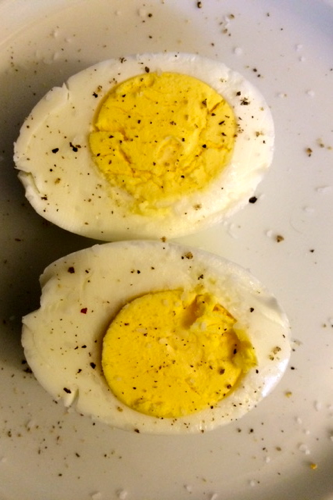 Hard boiled eggs are simple food, yet many people struggle with leaving the sulfur ring behind. It is easy to loose track of time and forget about those pesky eggs. But they are great to have on hand to add to salads, snack on or make the perfect deviled eggs. Of course you can find various methods on pinterest, but this way is reliable and will give you great results everytime. So if your looking for the perfect hard boiled egg, look no further. This is for you! 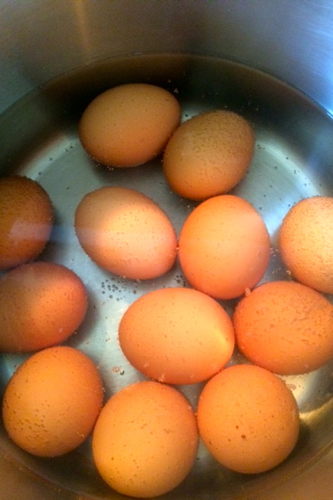 Place eggs in sauce pot or pan. Cover with cold water. Heat until boiling. Let boil one minute. Turn off heat and let it cook 9 more minutes. Place in an ice bath until cold to stop the cooking. Peel and enjoy! The best way to make butternut squash! 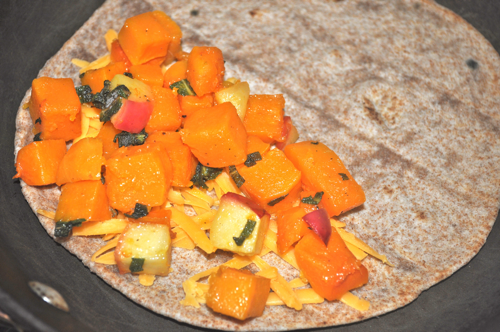 Butternut squash is an orange vegetable delight! It's highly nutritional and low in calories. Many people see a this large squash and wonder, how do I prepare that? The answer is simple, roast it. I know that I have repeatedly said this, but it does wonders for any vegetable. Squash is one of the best to roast. 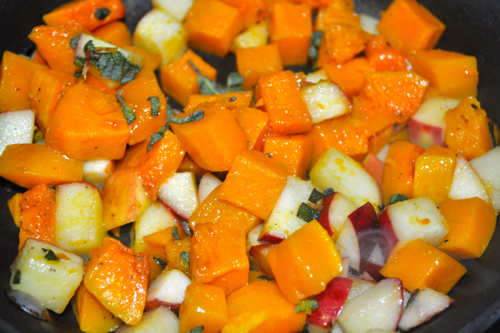 All the sugars create a wonderful caramelization and that allows the squash to exponentially increase its flavor. Once roasted, it can be used on salads, turned into soup, pureed for a dessert or pasta or eaten by itself. 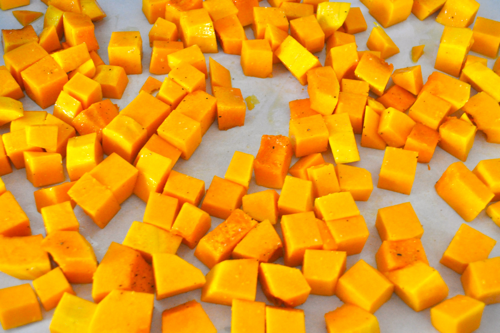 Squash lends it self to so many flavor combinations and can be any where on a menu. So when you see this tastey treat in supermarket, don't pass it up. It may surprise you! Preheat oven to 400 degrees Fahrenheit. Toss all ingredients and place on a parchment lined sheet pan. Cook 20-35 minutes or until its easily pierced with a fork. 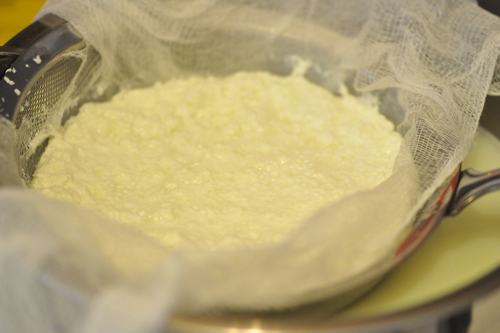 Conquering home made ricotta cheese! Heat milk and salt to a boil over medium heat. Stir occasionally to prevent scalding. Once it starts boiling add the lemon juice and stir. You should see the milk curdle and separate from whey. Once it curdles remove from heat. 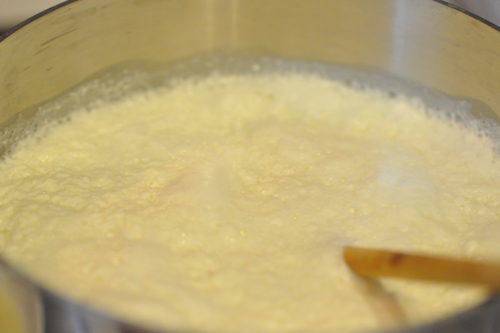 The yellowish liquid is the whey and will be strained off. 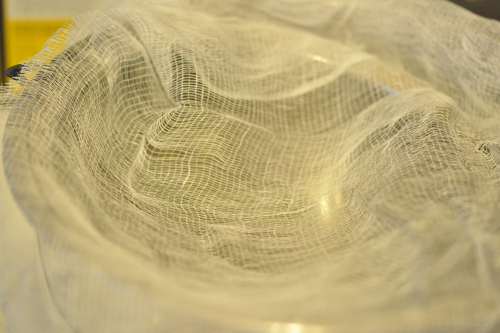 Remove from heat and strain the mixture through cheesecloth in a strainer. Let sit for 30 minutes to an hour. A quick and easy week night meal! 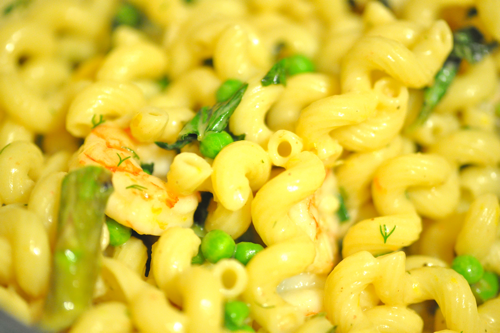 Cavatappi translates into corkscrew.Which is fitting for this hollow and spiral pasta. It often has ridges to hold the pasta sauce. The tube is great for allowing peas or herbs to slip inside. This shape can also be used to make a more elegant presentation for macaroni and cheese. If you cannot find this lovely pasta shape, use alternatives such as ziti, macaroni or penne. If you don't have goat cheese on hand use ricotta or mozzeralla. The herbs and protein can be substituted for what you have on hand. Cook pasta according to package directions.In the last two minutes of cooking pasta,add asparagus. Cook asparagus 2 minutes or until al dente. Drain pasta and asparagus reserving 1/2 cup of the pasta water. 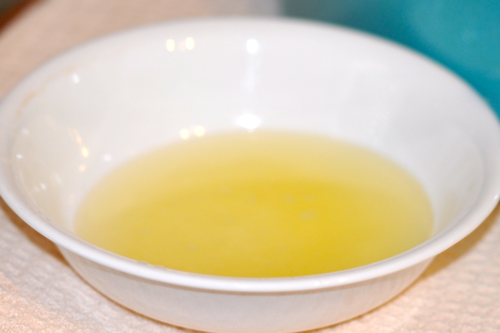 Meanwhile, heat 2 tablespoons of olive or grape seed oil in a saute pan until smoking. Add shrimp to pan and cook on one side for 1-2 minutes and then turn over and repeat. This may take less or more time depending on the size of your shrimp. Remove shrimp from pan and set aside. 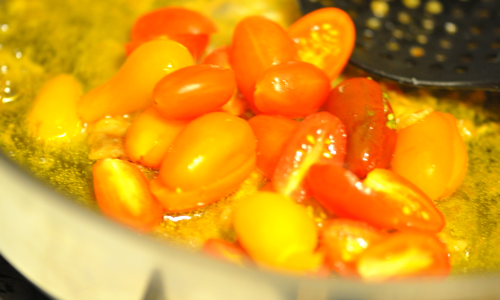 Heat 2 tablespoons oil and add garlic and tomatoes. Cook for 3-4 minutes. Set aside. In the same pan of garlic and tomatoes add pasta, pasta water, asparagus, goat cheese, peas, lemon zest, and cook until combined. Toss in fresh herbs and shrimp. Season to taste with salt and pepper. 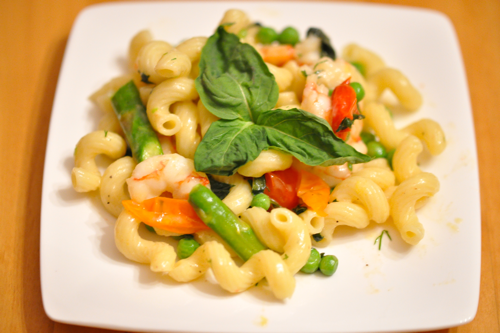 Fabulous pasta dish for dinner tonight! A sweet n' spicy chicken! As I'm sure you know, I'm a huge advocate of roasting food to perfection. 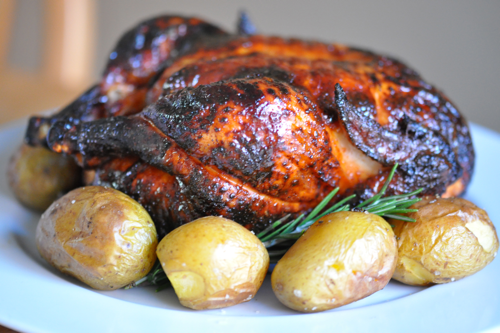 There are a plethora of ways to roast chicken, but this is my new favorite.This delicious chicken is perfect for entertaining.The skin of the chicken is crispy, caramelized and spicy. 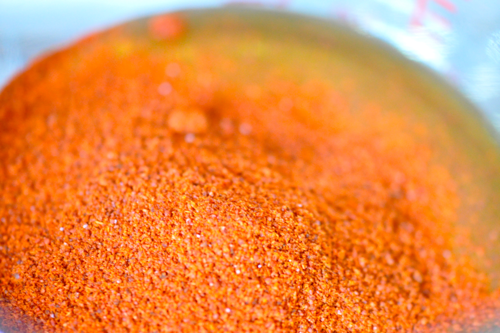 If you are not a fan of spice, substitute with paprika or chili powder. This chicken goes fast in my house and it will in yours as well. Its wonderful served with roasted potatoes and a light salad. Preheat oven to 450F. Loosen skin over the breast by placing your fingers underneath skin and separating skin from meat. Place some of the mixture underneath the skin. Season the skin with salt and pepper. Cover with a thin coat of olive oil. 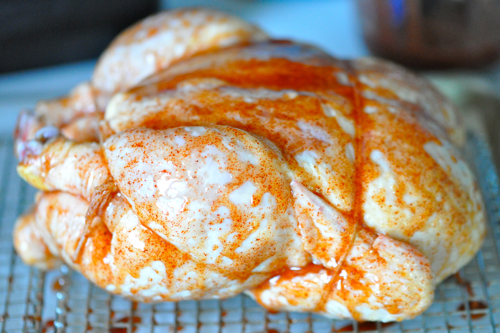 Use half of the honey cayenne mixture to coat the skin. Roast breast side up and baste every 30 minutes until the rest of the mixture is gone. 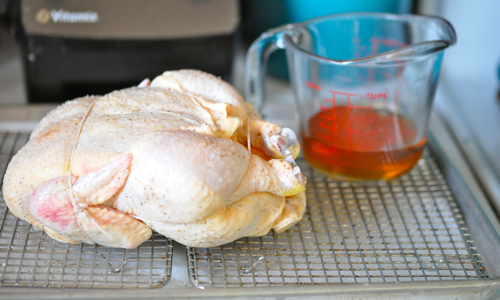 Cook until a thermometer inserted in between the thigh and breast bone reaches 155F. Approximately 1-1 1/2 hours. Let rest for a least 20-30 minutes before carving. While the chicken is resting it will continue to cook. This is called carryover cooking. The larger the piece of meat, the more carryover cooking will occur, because there is so much heat trapped inside. When the internal temperature reaches 165F the chicken is ready. Simple syrup is a exceptional sweetener. It can be used in your morning coffee, afternoon iced tea or add some sparkle to your dessert. 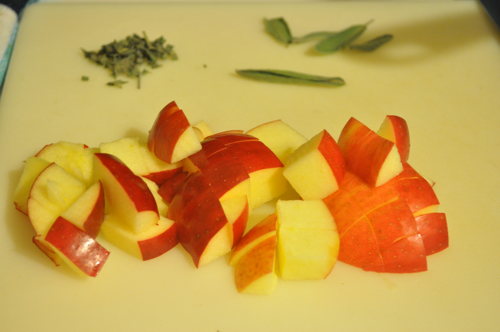 Flavor it with herbs such as basil, mint, lavender, sage or rosemary. You can add berries or other fruits to flavor your syrup, as shown in the rhubarb sangria! But let your imagination run wild and take your cocktails or desserts to a new level of flavor. Combine all ingredients. Heat until sugar is dissolved. 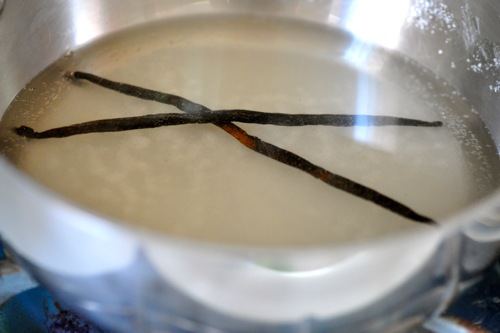 Let vanilla steep for at least 40 minutes or longer if you want a stronger flavor. When finished with the vanilla beans. 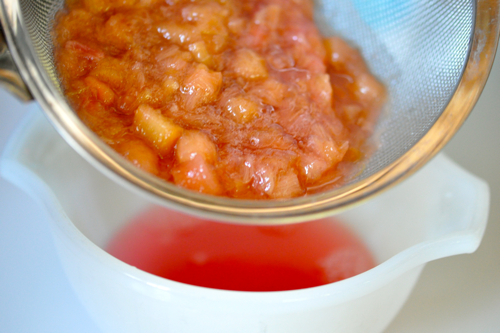 Let dry and add to sugar for an enticing flavor that is wonderful in cookies and pastries! Honestly, I'm not a big onion fan. My friends would tell you how I loath the thought of them in anything. Yet, when caramelized something magical happens. 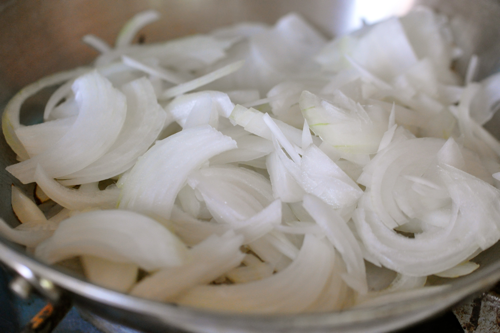 The natural sweetness of the onion comes out. 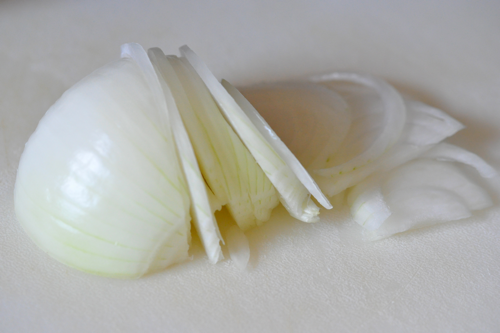 The texture becomes soft and the onion reduces down to a wonderful complex sweetness. The result is an ingredient that can be used in almost anything. They are great in fritattas, on sandwiches, pizza, soups or added to your favorite dressing. 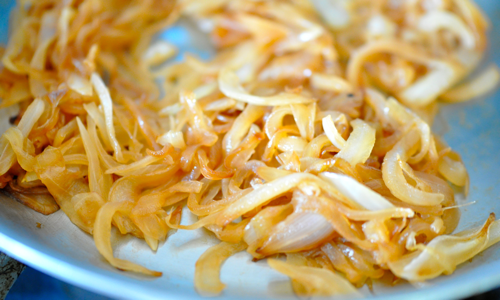 Keep these onions on hand for a wonderful boost of flavor in your everyday dishes! Heat pan on medium high heat. Add onions and let sit for 4-5 minutes. Once it starts to brown, stir more frequently. 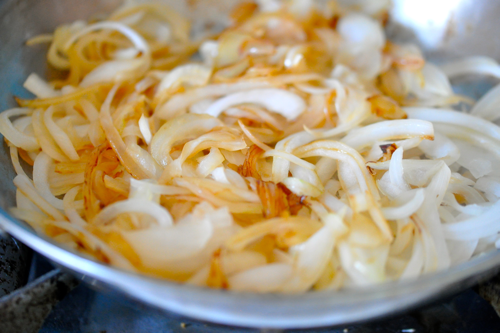 Continue cooking until onions are brown/tan and have dramatically reduced in size. It take approximately 15-20 minutes. 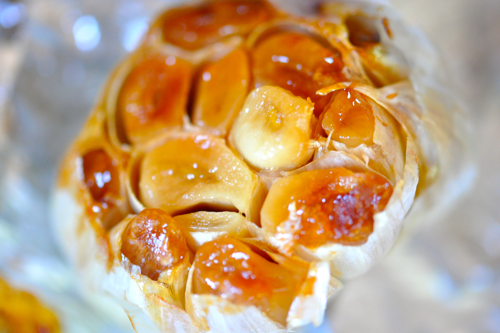 Roasting garlic is one of the most effortless skills in the kitchen. In this recipe, I only used two heads but I would recommend roasting 6 or so at a time. Once you make this, it will become a staple in your household. This simple technique can result outstanding flavor profiles. Preheat oven to 375F. 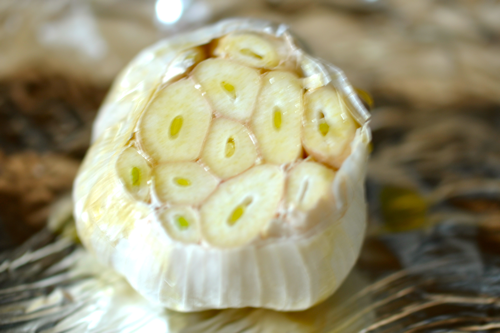 Cut the tops off the heads of garlic. Enough to expose the cloves. Place in aluminum foil and drizzle with olive oil. 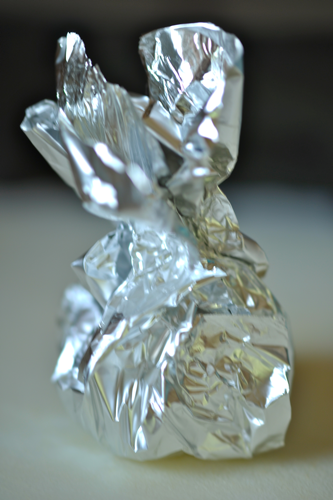 Wrap in aluminum foil and place in oven. Cook approximately 30-60 minutes or until tender! Enjoy! Sangria hails from Spain. It typically was created using red wine, fruit, and brandy. This punch was produced because water was not safe yet to drink. It originally had spices, red wine and possibly water. Nowadays, sangria can have any variety of wine, juices, sweeteners, liquor and fruit. It's basically an adult fruit punch. Any variety you can think of is out there. Of course, you can buy it pre-made at the supermarket, but its not nearly as delicious as homemade. When you make it yourself, you can customize it to the sweetness and alcohol content to your liking. For spring, I wanted to make a sangria that screamed SPRING. If you can't find pink lemons, regular will do just fine. 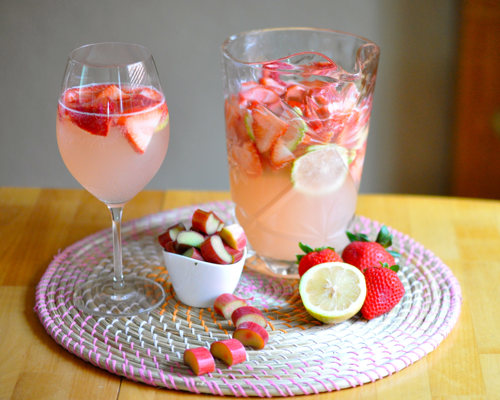 This delightfully pink sangria looks gorgeous and taste amazing! You make need to make a couple of pitchers for company. 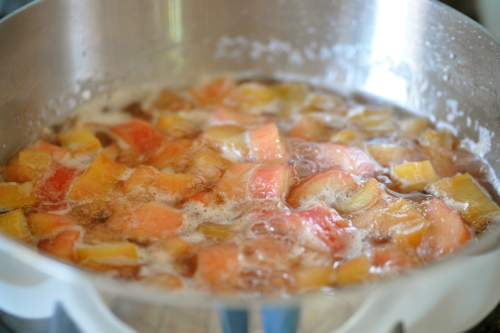 Combine rhubarb sugar and water. Cook until tender. 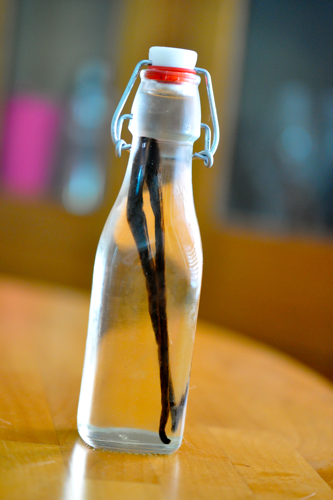 Strain out rhubarb and reserve syrup. 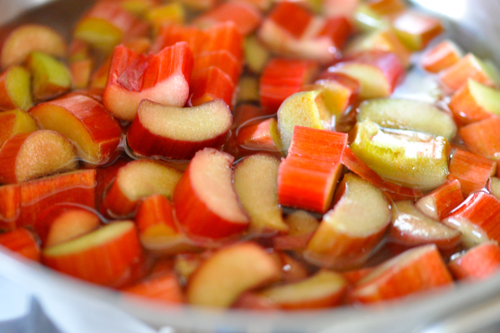 Save the cooked rhubarb to top ice cream, use in a tart, or to eat with yogurt! Place syrup in fridge. When syrup is cold, place in pitcher. Add sparkling wine, strawberries, lemon slices and top off with water. A beautiful sangria for any occasion! 2. Make a flavorful pesto to use on sandwiches, add to hummus, in pasta or tossed with your favorite veggies. 3. Add to beverages such as lemonade, tea, cocktails or to flavor your water. Some of my favorites are mint with tea/water, and basil with lemonade. 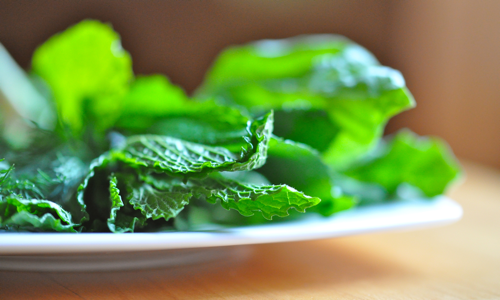 Basil and mint make great additions to cocktails or iced tea! 4. Toss parsley, chives and/or cilantro into your salad. 5. Incorporate a mixture of herbs into your salad dressing. Give your dressing an extra kick of flavor and freshness for the spring. My favorite is a mixture of parsley, chives, and basil. 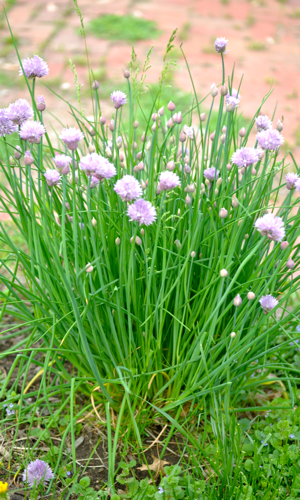 Chives are wonderful addition to compound butter! 6. Use them to make a delicious herbed compound butter. 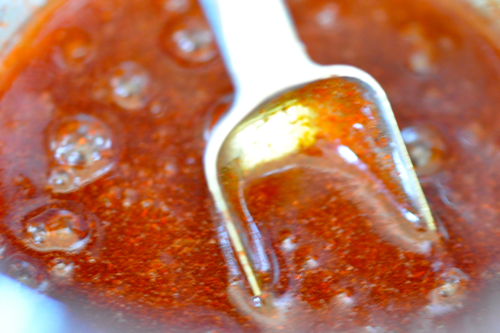 This sauce can be used on fish, steak, chicken or lobster! 7. Add them to your omelet, scrambled eggs, quiche or frittata. 8. Use fresh herbs like parsley, basil and cilantro to garnish some of your favorite dishes! 9. Simmer stems or chop stems to use in sauces. Basil stems are great simmered in a tomato sauce. 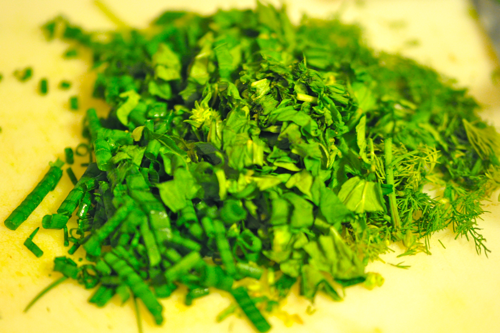 Use cilantro stems to make a pesto or flavorful dressing/marinade! 10. Use harder stems such as rosemary as skewers for grilling items such as scallops or shrimp. 11. Add herbs such as parsley, thyme, and tarragon to give your stock a boost of flavor! 12. Fry leaves for a flavorful and delicious garnish! This works great with sage and basil! 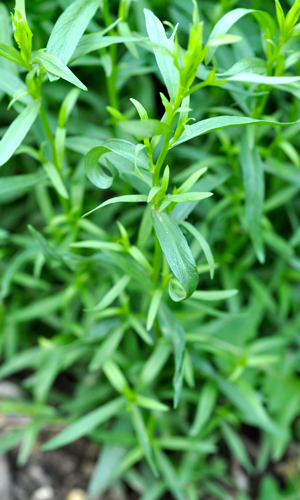 Add tarragon to your favorite sauce, such as hollandaise. 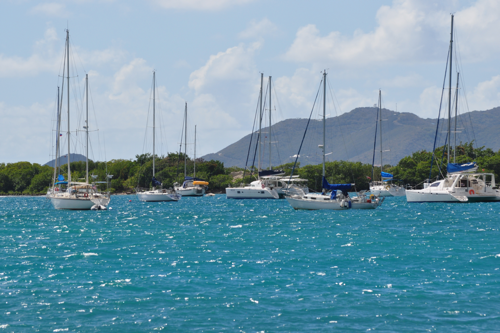 I recently went to the British Virgin Islands. The water was a brilliant turquoise and you could smell the salty ocean in the air. The mountainous region was covered in tropical plants and large cactus. The locals were always greeting you with a smile. In this wonderful paradise, the drinks were abundant and magnificent! One of the signature drinks of the B.V.I. was the painkiller. This drink lives up to its name! 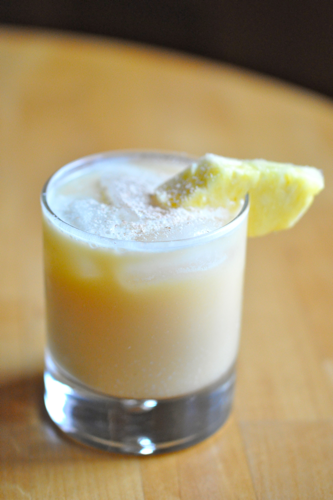 Its a lighter take on the popular Pina colada. The grated nutmeg may seem strange, but brings this drink to another level of flavor. The inventor of this drink is said to be the bartender at the Soggy Dollar Bar on Jose Van Dyke, but it is still debated. This was my favorite drink of choice while in the islands. 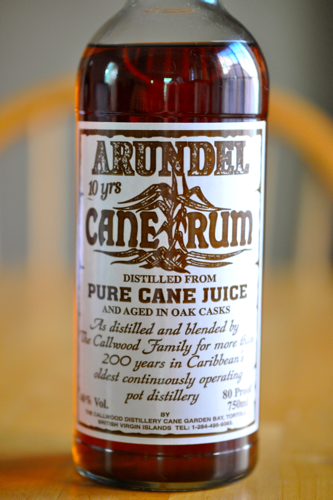 If made with the local rum from Tortola, it can almost take you back to paradise. 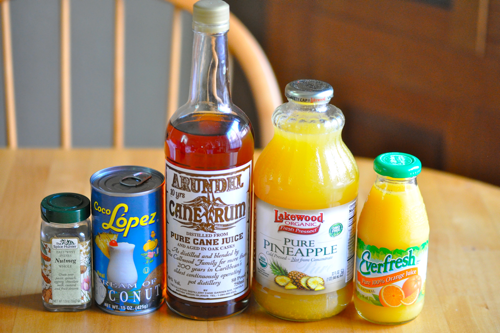 Take a trip to paradise and make this amazing drink! Place all ingredients except for nutmeg and pineapple wedge in shaker with ice. Serve over ice and garnish with fresh grated nutmeg and pineapple. Enjoy! Smoothies are my go to morning breakfast. They are loaded with fiber, vitamins, and minerals. Plus, they taste delicious too! It's a great way to sneak some veggies in as well. 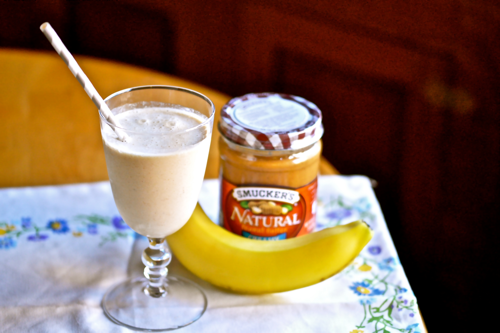 This smoothie is so scrumptious that it could be served as a dessert. Sometimes, I add cacao powder for an extra oxidant boost. If your allergic to peanuts, substitute cashew, almond, or walnut butter. To spice this drink up a bit add cinnamon, cardamom, or nutmeg. Place all ingredients in blender and enjoy. 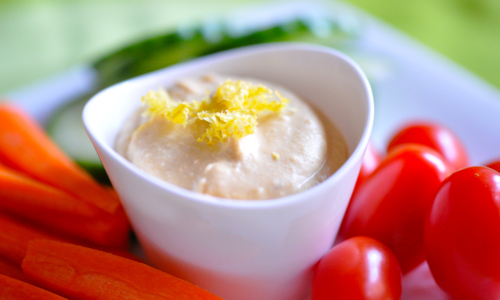 Hummus is a wonderful middle eastern dip to have in your fridge. 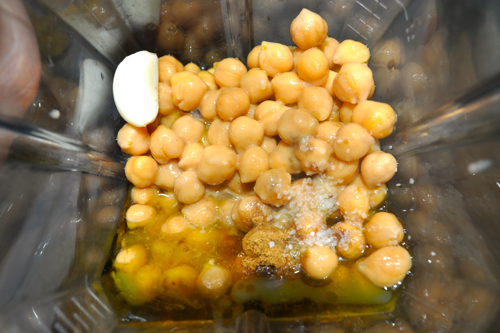 Instead of buying those expensive and high in sodium pre made hummus, try making it yourself. It will save you some money and taste fabulous! 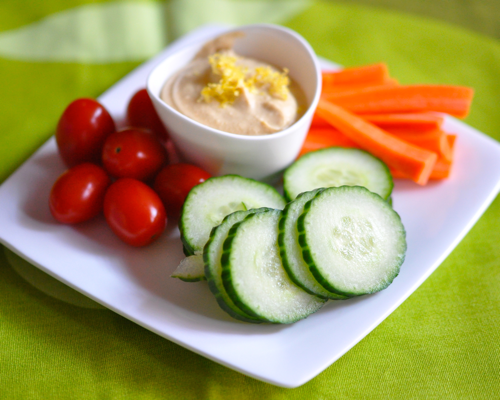 Hummus is not only easy and taste great, but its a great source of nutrients. It's highly nutritional due to a high source of fiber and protein. Hummus is low in sodium, fat and calories. The veggies that you dip in it, give you an additional nutritional boost. Enjoy this snack and be guilt free. It took me awhile to achieve a smooth hummus. I had made it multiple times before and couldn't perfect the texture. 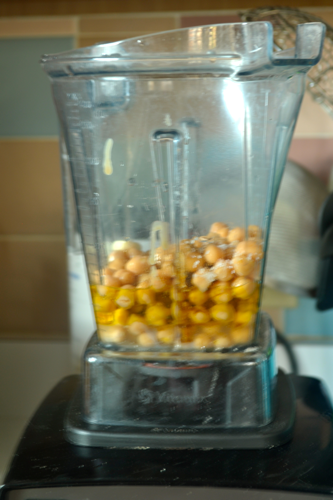 There were many techniques to increase it being smooth, but did I really wanna spend time removing all the skins from chickpeas or starting from dried beans? This is supposed to be a quick and easy snack. After many trials and recipe adjustments, I had found a wonderfully quick way to make a beautifully smooth hummus. Place all ingredients except lemon zest in food processor or Vitamix. Make sure to stir your tahini. It is like the peanut butter of the middle east. It separates when it sits, so mix it up a bit. Blend until smooth. Add salt to taste and lemon zest to taste. Serve with cucumber, carrots, tomatoes, pita bread, or pita chips.